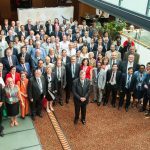 The twelfth meeting of the National Cancer Institute Directors meeting took place in Lyon between 17th and 19th July, 2017. 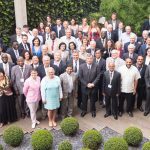 Hosted by the World Prevention Alliance (WPA), that works closely with the International Prevention Research Institute (iPRI), the 2017 NCID meeting brought together participants from more than 50 countries at varying levels of income and resource to discuss the important issue of “access” to cancer treatments. 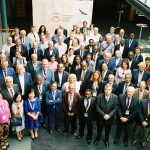 The highlights of this meeting included feedback and future plans following the launch of the “State of Oncology in Africa 2015” Report and the premiere of the accompanying documentary “Cancer is … Attacking Africa”. 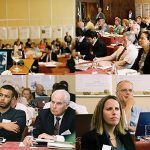 There were presentations about new technologies for the early detection of liver cancer and lung cancer and the programme benefitted from the input of the patient perspective (IAPO). The World Prevention Alliance medals were presented to Hilal Al Sayer, Margaret Alsayer, Patrick C. Walsh and Witold A. Zatońskiin recognition of their outstanding contribution to Oncology. Dr. Hilal Al-Sayer and his wife Margaret are the co- founders of Kuwait Association for the Care of Children in Hospital (KACCH) and Bayt Abdullah Children’s Hospice (BACCH), which is the first and only children’s hospice in the Middle East. This is a unique development and brings enormous help to terminally ill children and their families. Dr. Walsh is best known for his pioneering work in the development of “the anatomic approach to radical prostatectomy”, which involves nerve-sparing techniques that have reduced the probability of impotence and incontinence. He has also made major contributions to the basic understanding of benign and malignant neoplasms of the prostate. Professor Witold Zatoński has been a leading figure in medicine, public health, cancer epidemiology and tobacco control in Poland, Eastern Europe, and internationally for over 40 years. Professor Zatoński has launched numerous health campaigns in Poland and Europe which have significantly contributed to the health of the population of Poland. In 2016 the Alliance of Cancer Institute Directors was announced and this year it was formalised. 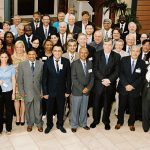 Presentations at these meetings underlined the great need for effective and sustainable partnerships to achieve practical cancer treatment and control. Many Institutes work in isolation and would benefit from a platform to share knowledge and ideas on the implementation of modern cancer treatments and prevention strategies. The development of an Alliance of Cancer Institute Directors would aim to help achieve these goals.